TinyCFW is a simple tool I put together for a friend of mine. He has an iPad2 GSM and has his 4.3.3 SHSH but since Apple is no longer signing 4.3.3, it isn't possible to downgrade to 4.3.3 without getting stuck in a 1015 recovery loop. 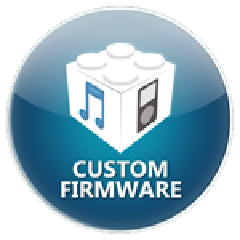 - It WILL modify the ipsw TO UPDATE YOUR BASEBAND TO THE LATEST! - It will create an ipsw that you can use with TinyUmbrella AND iTunes to restore to a version of iOS that you have SHSHs for. - It is primarily for iPad2 with a baseband OR iPhone 4. - A tool to protect your baseband. You can use this ipsw with iTunes and TinyUmbrella to restore your iPad2 GSM/CDMA back to say 4.3.3 (if you have 4.3.3 SHSH). This is a VERY initial release. I never intended on it being a massively supported tool. It's just something I used in passing. If it helps you great! This functionality will exist in far more robust form when I finally ever release TinyPwn. Enjoy! If you DO NOT have SHSH BLOBS, this will not work for you.